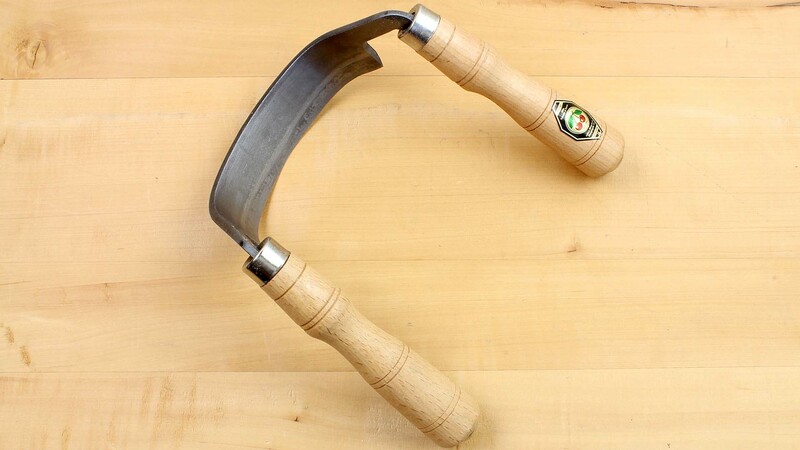 The draw knife is a tool that can be used in many ways: for stripping bark from trunks, for trimming and fitting beams or square timbers during renovations, and also as a creative artistic tool in the hands of the wood sculptor. The thickness of the Oxhead blades at the beginning of the bevel is 4 to 4.5 mm, that of the Gränsfors blade 5 mm, and that of the Frost blade 2.5 mm. Some tips on the use and sharpening of drawknives. Drawknives are so called because they perform their work by being drawn, not pushed through the workpiece, toward the user. Under no circumstances should a drawknife be pushed since this would very likely lead to loss of control over the tool and possibly injury. Should the knife jam in the workpiece, it should never be used as a lever to separate the chip from the work, but should be carefully backed out of the cut. Because drawknives' handles tend to be get in the way, sharpening is a little trickier than sharpening a plane iron or chisel. 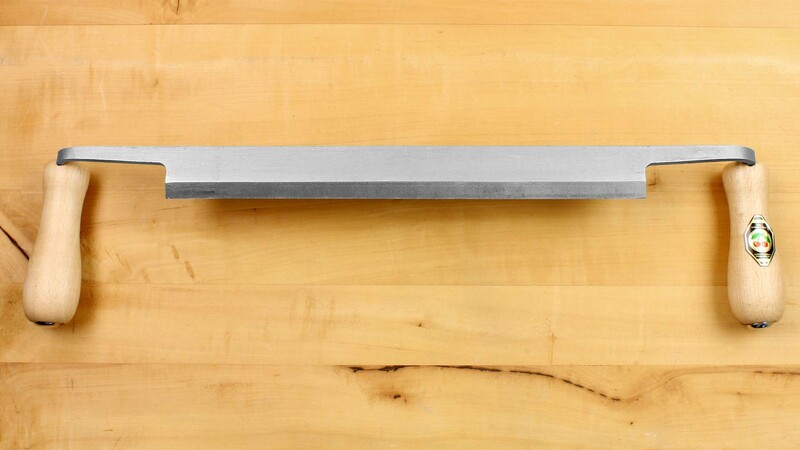 We recommend placing and securing the sharpening stone on a surface raised high enough to let the knife's handles hang freely to either side. This will permit free movement of the blade over the stone. To obtain a satisfactory edge on larger drawknives, 1000 - 1200 grit waterstones are sufficient. For an extra-sharp edge, usually only desirable in the smaller knives such as those made by Frost or Veritas, final sharpening with 4000 - 6000 grit waterstones is necessary. 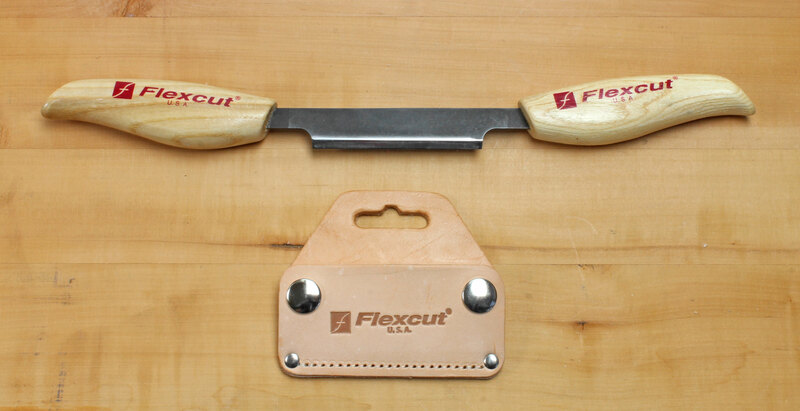 A final tip: the harder the wood that is being worked, the greater the blade's cutting angle. For fine work in soft woods, 25 ° or a little less will work well; for coarser, harder wood, angles as great as 35 ° may be used. 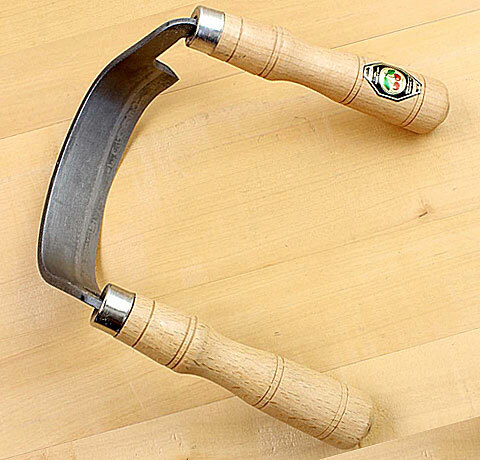 GRÄNSFORS BRUKS' Swedish draw knife has a blade 29 cm long and is 57 cm long overall. It weighs 0.6 kg. 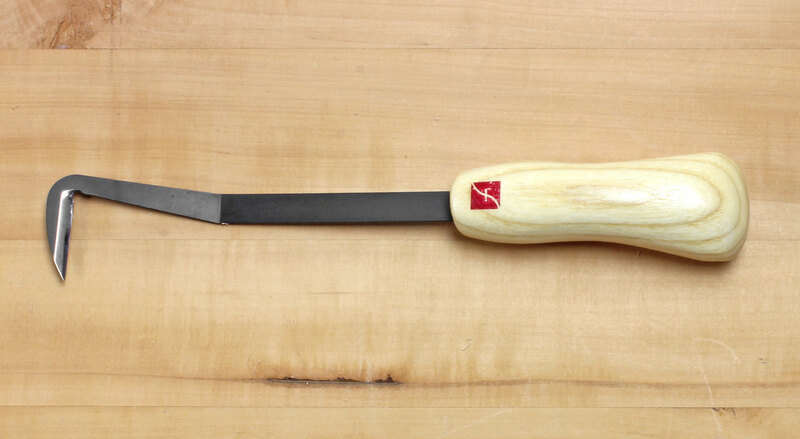 An ordinary draw knife is too large for most carving – the Veritas drawknife is designed for ease of use with maximum control. The teardrop-shaped handles are cocked at 45° to the blade and nestle comfortably in your hands. The polished 100 mm x 3 mm x 19 mm (4 inch x 1/8 inch x 3/4 inch) blade is ground and honed to a perfect edge. 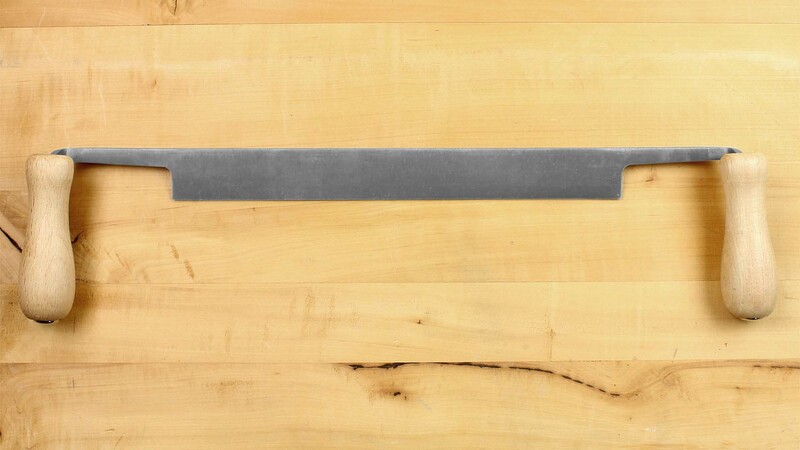 The blade is hardened to HRC 60 and comes finely ground with an 18° bevel, further strengthened with a micro-bevel. Blade thickness: 3 mm, Blade width 19 mm. This Swedish draw knife has a blade 107 mm long and is 342 mm long overall. 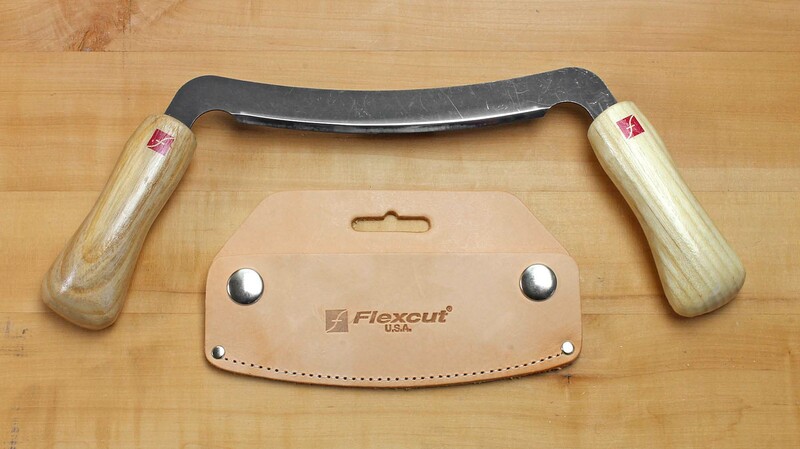 The blade is made of TRIFLEX, a modified carbon steel. This steel is best described as a material between laminated steel and plain carbon steel hardened to HRC 59-60 with a softer surface that improves the tensile strenght considerably. But it will not allow bending. This drawknife is the only one with bevel on both sides. the thickness of the blade at the beginning of the bevel ist 2.5 mm. This flexible draw knife has 5 inches (127 mm) of workable edge, designed to flex around contours where large amounts of stock need to be removed quickly. 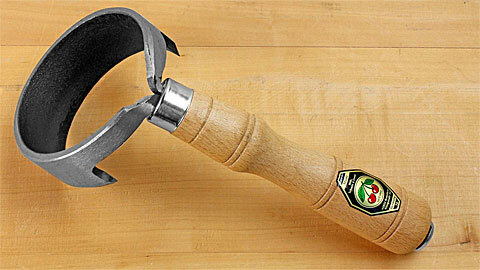 The tool can be flexed to accommodate concave or convex surfaces. This handy little draw knife was developed for fan carving but works great for skinning bark and roughing-off corners. It fits nicely into the tool box.